Join us and enable our work to reach more. Suggestions, feedback, and partnership in developing practical materials and methods for improving healthcare delivery amid resource constraints. Potential partner organizations to host collaborative action projects that enable us to deliver real impact and generate practical learning. Field research collaborations to test promising tools and approaches. Dialogs on healthcare delivery, frontline innovation, and the potential social impact of management education, practice, and research. To learn more, reach us on global.health.lab@mit.edu. There’s one more critical ingredient: Your support is essential for everything we do. Why support the Groundwork Initiative? Linking teaching and research via field projects offers a triple payoff. Building a collection of field-tested methods can help improve healthcare delivery in a variety of settings. By connecting action, research, and practical impact, our students have an unparalleled and life-changing opportunity to learn. And thanks to our innovative partners in the field, we could even help to enable better healthcare for more people. 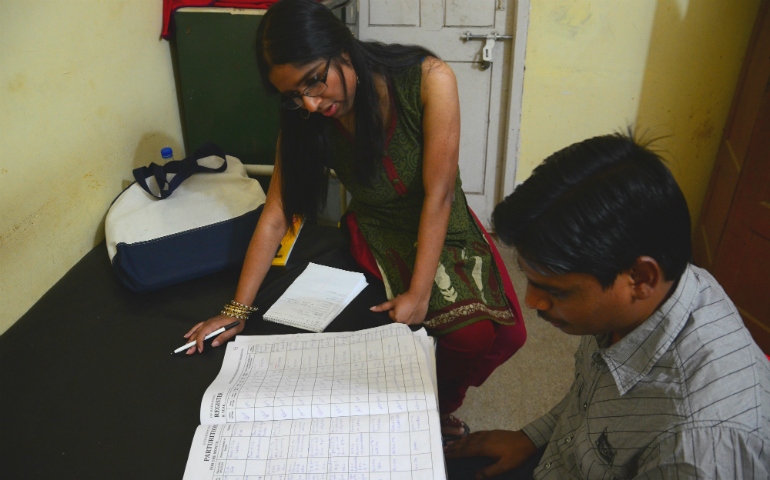 GlobalHealth Lab builds on and contributes to the Groundwork Initiative’s documentation and dissemination efforts. Combining teaching, research, and outreach promises multiple benefits, but support from generous alumni and friends is essential. Any amount helps to make our work in the field possible. Donate directly to us via the MIT fund, Global Health Delivery and Management. Just click on the button below. Thank you.